Devah I. Pager died Nov. 2 at age 46. Harvard Sociology Professor Devah I. Pager, a groundbreaking researcher, advisor, teacher, and mother beloved by her students and family, died on Nov. 2. She was 46 years old. 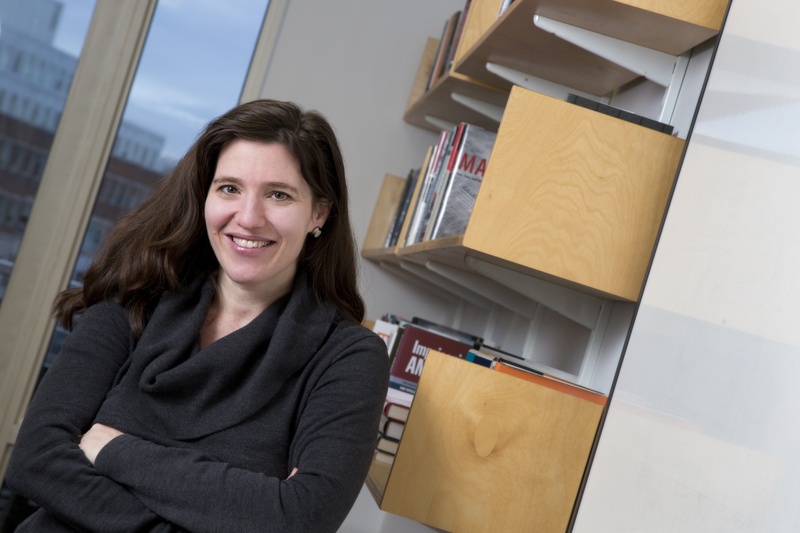 Pager forged new methods in sociological research and authored a pioneering dissertation on racial bias in employment. She died in her home after a lengthy battle with pancreatic cancer. Pager’s 2003 dissertation earned recognition from the American Sociological Association as one of the best studies in the field. The paper, which prompted national media attention, found that white job applicants with felony records fare better in their search for employment than African Americans without a criminal background. Pager’s research transcended academica and had a tangible effect on modern politics. In the mid-2000s, her research featured heavily in political promotions for “ban the box” legislation, which in some states bars employers from asking applicants for their criminal records. “Her work provided some of the most rigorous research on the continuing significance of racial discrimination in the United States,” he said. Pager’s work appeared widely in electronic and print media, earning attention from policymakers in the Bush administration. In 2007, former United States President George W. Bush signed the Second Chance Act, which created a program to help convicted felons re-enter the job market. Then-Director of the White House Office of Faith-Based and Community Initiatives Jim Towey credited Pager’s 2003 dissertation with helping shape the legislation. Early in her career, Pager earned a reputation as a highly competent researcher. Her colleagues said Pager remained devoted to her students throughout her life. She continued to teach even as her cancer progressed. “Students could always count on Devah Pager. She was always available, even during the period when she was suffering from her cancer,” Wilson said. Government Department chair and professor of African and African American studies Jennifer L. Hochschild said she exchanged emails with Pager a few weeks before she died. The two wrote back and forth about the future of the graduate sociology seminar they co-taught. Hochschild said Pager’s upbeat personality shone through her teaching. Grusky added that Pager’s energy stood out to her colleagues and students. “She was willing to share her ideas and energy with everyone and anyone. She was beloved. She was truly beloved,” he said. Pager is survived by her husband, Michael Shohl, and her son Atticus. A memorial service is scheduled to take place Dec. 1 at the First Parish Unitarian Church in Cambridge. The Harvard and Princeton Sociology Departments will host a memorial celebration for Pager on Aug. 9, 2019 in New York City.